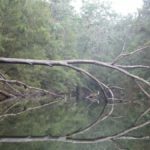 Wallacia to Bents Basin kayaking. Maps, directions, pictures. Difficulty: Easy. A few fallen trees. Harder after rain. 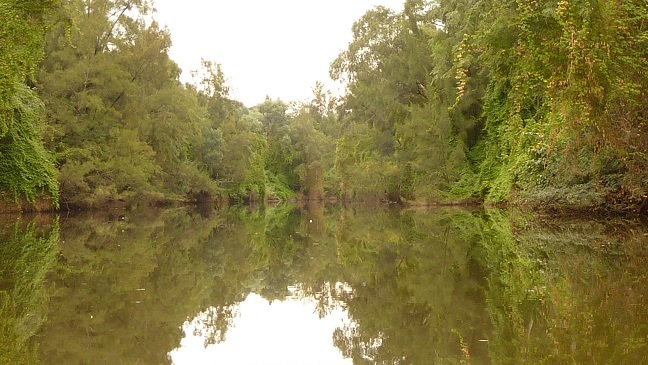 Wallacia to Bents Basin is a 19km return trip along the Nepean River. It hasn’t got the massive gorges when going in the other direction but is a nice enough paddle and well worth exploring on a kayak. There’s plenty of nice greenery to view along the way. The day I went I saw wild deer, 20+ water dragons and lots of blue bells flying around. When you get nearer to Bents Basin you’ll need to navigate through some fallen trees. When you approach the opening of Bents Basin you’ll need to paddle against the stream. It can be a little tricky but a bit of effort and you’ll get there. However after some rain I’m sure this would be a lot harder and may not be doable. After rain you could start at Bents Basin and surf the rapids through the opening and paddle to Wallacia. 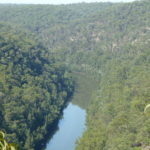 There’s no doubt the best direction is heading up the Nepean River towards the Nepean gorges and Warragamba Dam. But this was a nice change and still well worth the effort. Directions to launch the kayak. Google Maps Link. A good place to launch is Fowler Reserve in Wallacia. Bents Basin Kayaking Photo Gallery. The photo gallery below is kayaking from Wallacia to Bents Basin.